April 16, 2018—Every weekday, 66 year-old Grandpa Ray looks forward to seeing his “grandchildren” at the PEACE, Inc. (PEACE) Head Start Merrick School. Ray once struggled with unemployment and alcoholism after leaving the Navy. He found himself homeless and abandoned by his relatives. Now, he spends his days with those he calls his new “family”. Grandpa Ray is a foster grandfather through the Foster Grandparent program (FGP) run by PEACE, an organization that provides programing that helps families become self-sufficient. This year the organization is celebrating its 50th anniversary. FGP gives low-income residents over the age of 55 the unique opportunity to share their lifetime of skills, talents and abilities with children and young adults with special needs. Since the launch of the program in 1972, more than 850 volunteers aged 55 and older have engaged with approximately 20,000 children. Each grandparent provides support to the children who are facing academic challenges, learning, emotional and developmental disabilities and abuse or neglect. 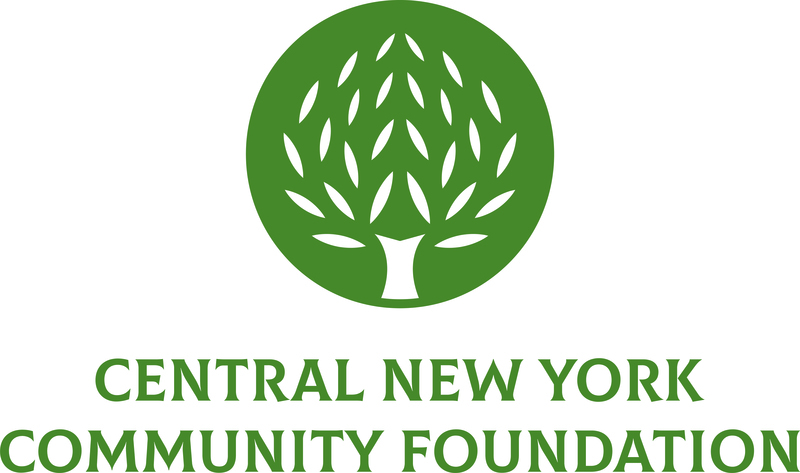 The Central New York Community Foundation awarded an $8,700 grant to PEACE to add six new in-service training options for FGP volunteers. The grant will allow the organization to target training to specific volunteer needs and purchase training from local providers. The new trainings will include positive behavior guidance, power of play and how to support children with little hope. According to a survey conducted by PEACE, 86 percent of foster grandparents surveyed reported that their mental and emotional health improved after becoming involved. Teachers commented that children have shown improvements with cooperation, self-control and gains in social and emotional development after engaging in the program. In June, Grandpa Ray watched his first class of children graduate from Head Start and head off to kindergarten. He teared up as he recounted giving them their diplomas after watching them grow throughout the academic year. He exclaimed that the experience has given him a purpose in life. Like Grandpa Ray, there are countless grandparents whose lives have been changed by this program. Cazenovia Preservation Foundation received $15,000 to restore its 2.5 mile Gorge Trail for all-season use by non-motorized visitors and to reduce current and future erosion and sedimentation into Chittenango Creek. Early Childhood Alliance received $75,000 towards programming designed to guarantee all children in Onondaga County are healthy, thriving and successful in school and life. HearStrong Foundation received $5,000 to educate community members on the availability of hearing loss treatment. PEACE, Inc. received $8,700 to train volunteers for its Foster Grandparent program, which provides low-income senior citizens the unique opportunity to share their lifetime of skills, talents, and abilities with children and young adults of all abilities. REACH CNY received $3,700 to purchase new cribs for its Safe Sleep Education and Cribs for Kids programs, which provide parents with safe sleep education and portable cribs. United Way of CNY received $5,000 to host Young Leaders United community forums for to engage professionals in making lasting positive changes in the community. Carriage House Foundation Fund, Community Fund, J. Henry & Martha E. Deboer Fund, Future Fund, Syracuse SIDS Prevention Fund and Spanfelner Fund. Ana Quintana came to Syracuse from Cuba some 20 years ago. She connected with the MANOS Dual Language Early Childhood Education program to participate with her 2-year old grandson, Mandy. She planned on leaving when he entered kindergarten. Mandy graduated from MANOS, completed high school with honors, and now serves his country in the USA military. ‘Abuelita’ Grandma Ana continues to share her kind spirit and life experiences with the MANOS children, every day, Monday through Friday. “MANOS es mi familia. MANOS is my family”, she says. Gracias to the P.E.A.C.E., Inc. Foster Grandparent Program.